Welcome to Emily's website. Our mission is to give back to the people and school system (Plymouth public schools) where Emily loved attending the Indian Brook Elementary School. If you didn't know Emily, I have created this website to show you how amazing our daughter was. With the money that we raise, we work with the amazingly supportive Superintendent of Schools Gary Maestas, Chris Campbell- Assistant Superintendent, and Mike Caple-the Visual and Performing Arts Director of K-12, all of the staff and school committee to create field trips, support the arts (Emily loved culinary, visual and performing arts) as well as scholarships for Emily's class of 2021 of Plymouth South High School. June 25: The Plymouth International Chorus does it again! 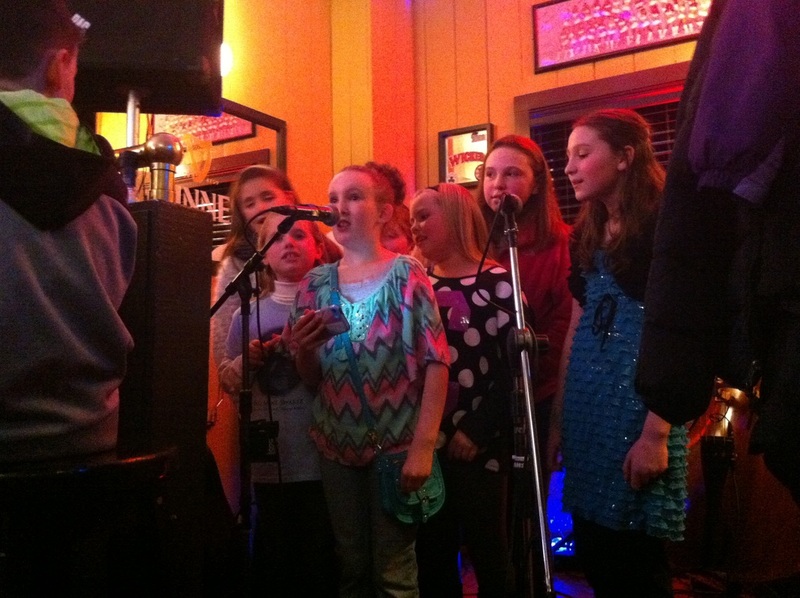 Thank you students for doing such a beautiful job singing the song that Jim Papoulis composed in Emily's memory. Wow. Eric and I were touched beyond words listening to Mike Caple speak and then wiping the tears listening to all of you sing. It was AMAZING!!!! Thank you and I know Emily was listening. 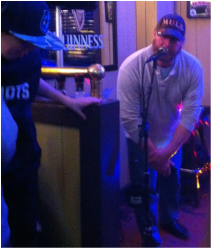 Thanks Brian Battles (to left),Emily's music teacher who rocks!!! 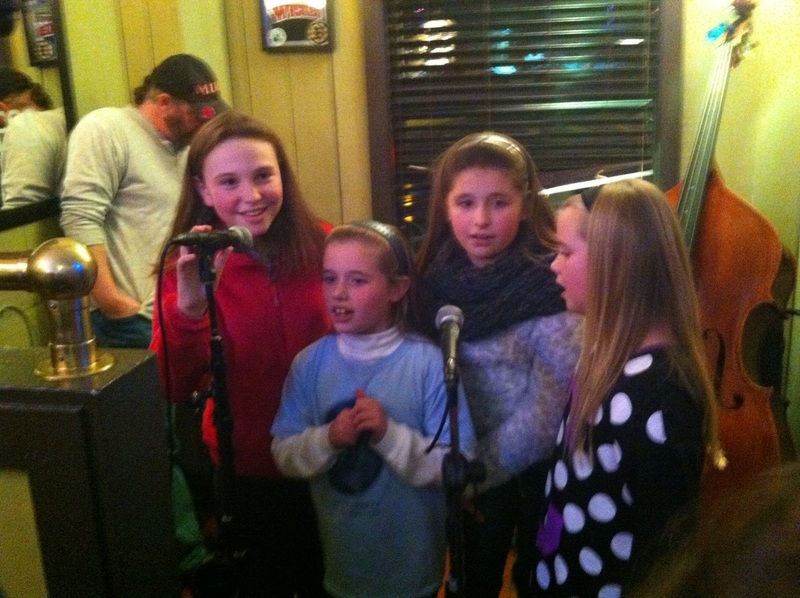 !, for hosting the open mic night during February vacation, 2015. Proceeds benefit Emily's Scholarship Fund. 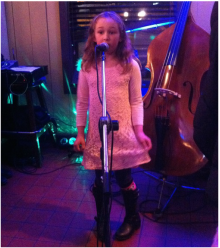 Thank you to all the talented kids who sang! 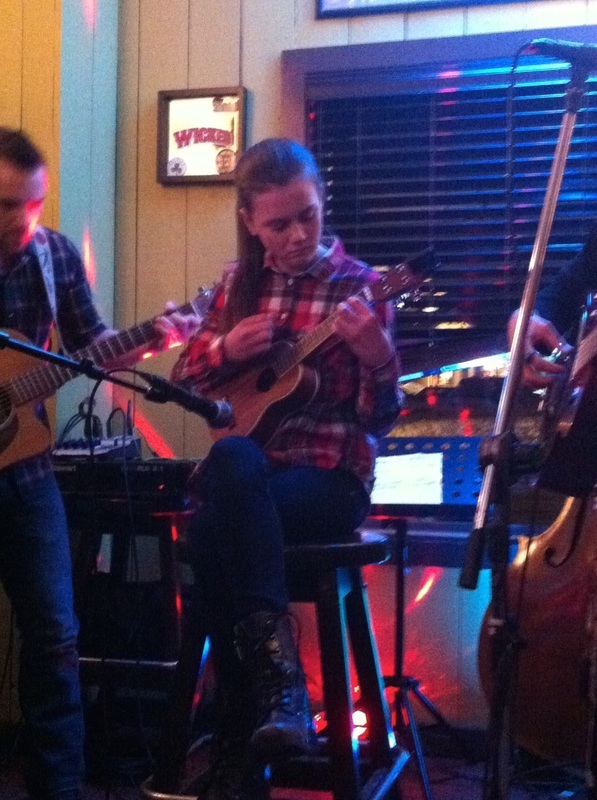 And thank you to Kathryn Spiegel (below) who played her ukelele to the very cool song "Riptide." 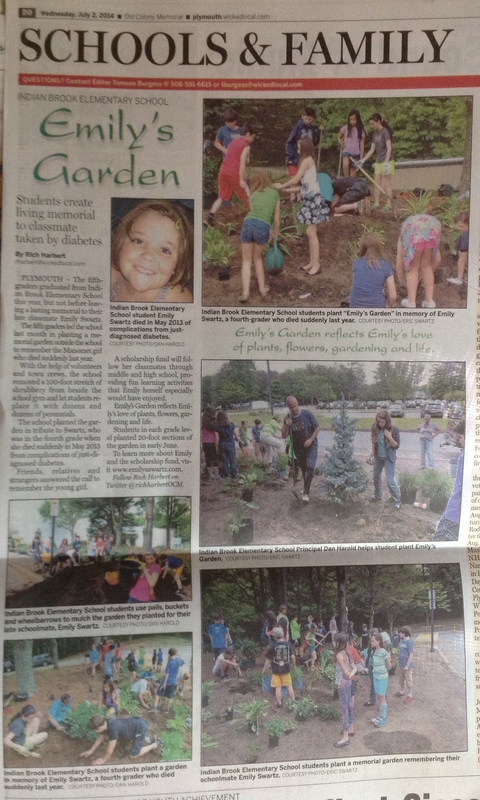 Amazing job Kathryn! Visual & Performing Arts: A total of 4-8 full scholarships to the Visual & Performing Arts Summer Band Camp will give Indian Brook Elementary School students whose families may be unable to afford sending their budding musician to the camp the opportunity to attend. The camp runs from July 7th-18th. The Summer Band beginner program is for any students currently in grades 3, 4, and 5, with no prior instrumental experience. Instructors worked with these students to show them how to assemble, care for, and maintain their instruments. Musicians in the beginner ensemble will learn basic music theory concepts necessary to perform at beginner level as well as performance and rehearsal etiquette. This program was held at PCIS. The scholarships were awarded in Emily's name and Mrs. Swartz went to their performance on July 18th. The Emily Swartz Yearbook/Poetry Contest: This opportunity will fund a yearbook dedicated to Emily as well as a poetry contest. The recommended poetry prizes would be U.S. Savings Bonds to encourage students to plan for college. 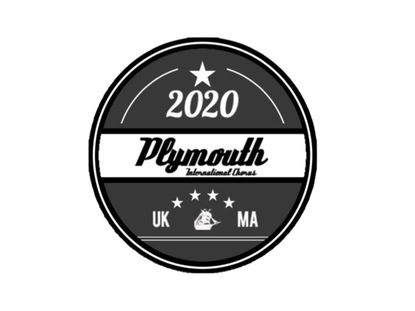 Summer 2015: The Plymouth International Chorus took their first trip to Plymouth England and them their students came here and stayed with host families. With the full support of Captain Bob Avila, students from Plymouth England had an experience they'll never forget going on a Capt. John Boats Whalewatch Trip. We also thank Mama Mia's in Plymouth (an extra thanks to the owner SamViscariello) and Ziggy's ice-cream for sharing their amazing food with the group! So that we know who visits our site and if you want notice for events please let me know your email! Thank you!